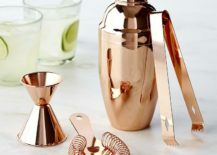 Even the smallest of accessories have been bitten by the copper bug. 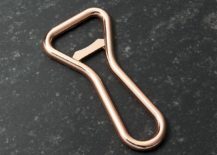 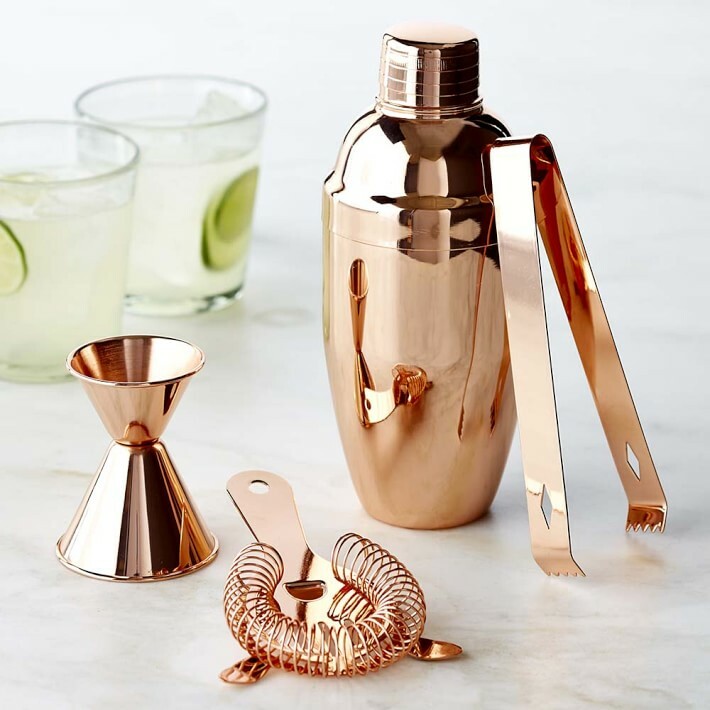 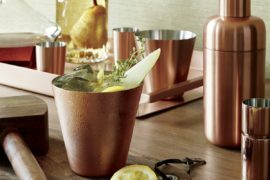 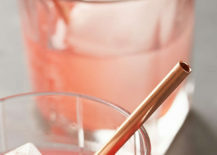 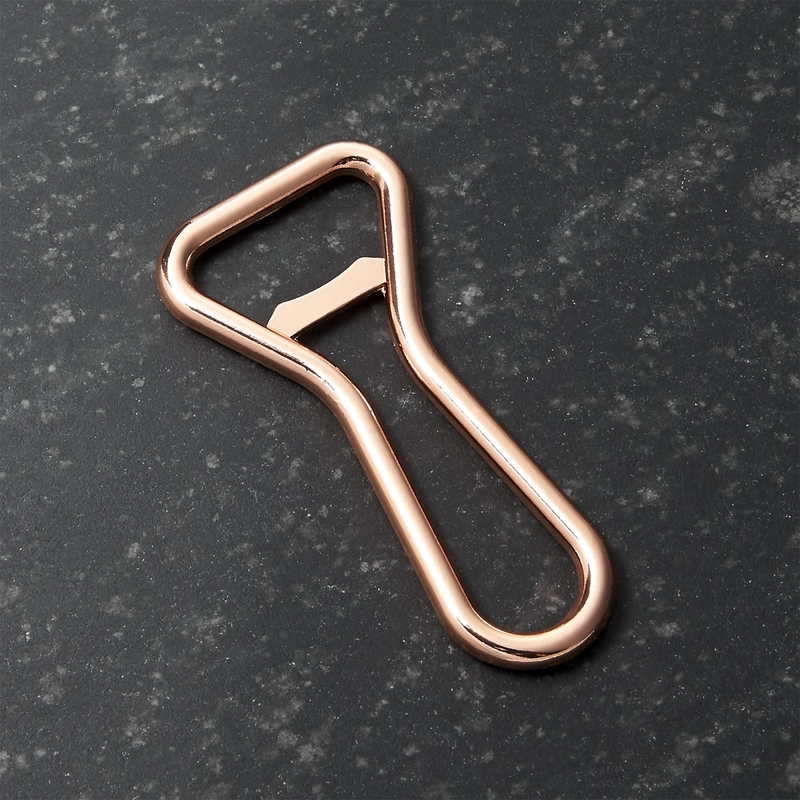 Below we see Crate & Barrel’s Kikkerland Vintage Copper Bottle Opener, followed by a set of copper-plated stainless steel straws from Urban Outfitters. 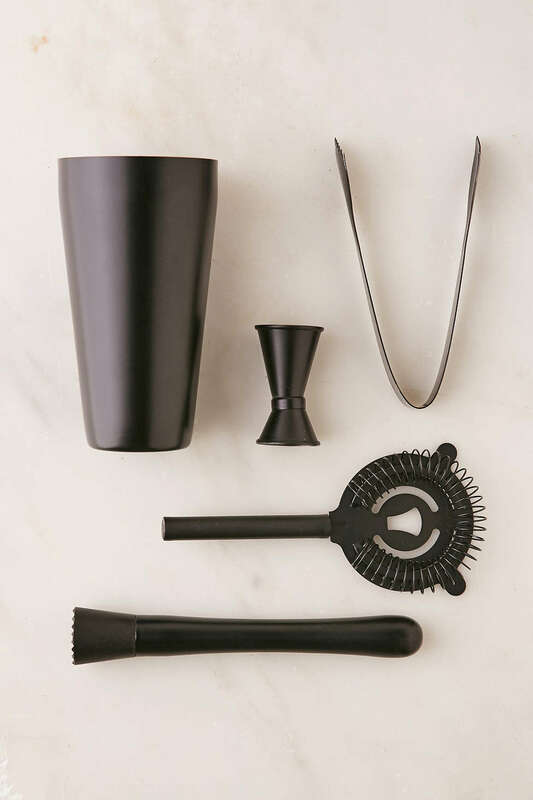 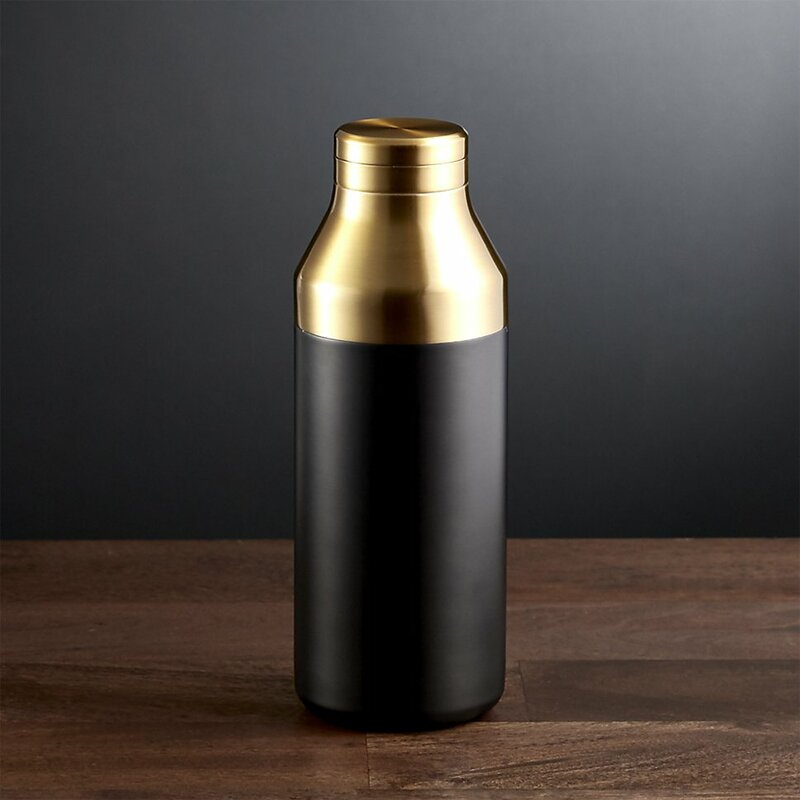 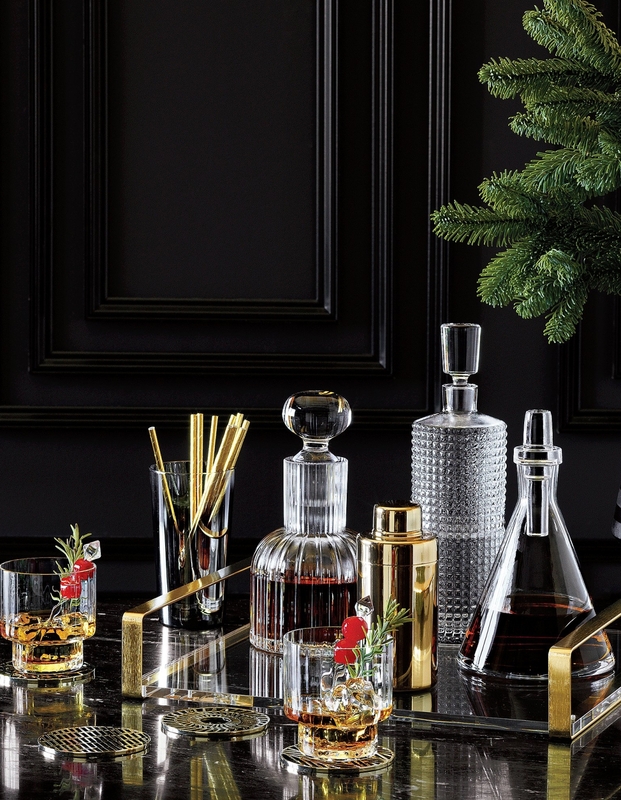 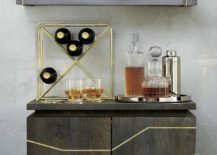 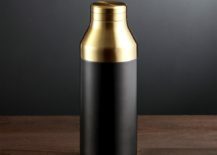 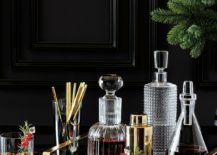 Urban Outfitters’ Monochromatic Bar Cocktail Shaker Set is sleek, simple and stylish. 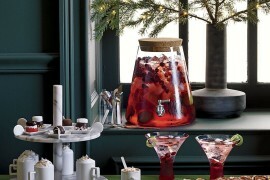 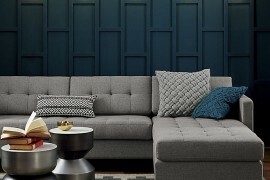 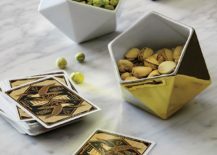 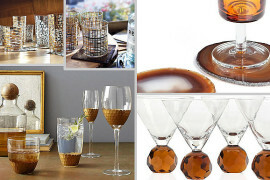 Perfect for a cocktail party filled with rich, deep hues and decadent food! 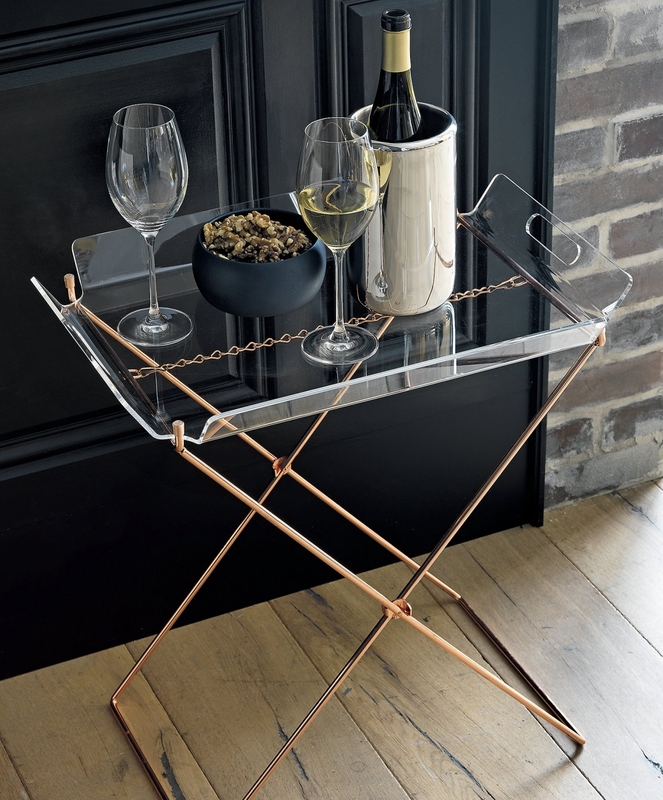 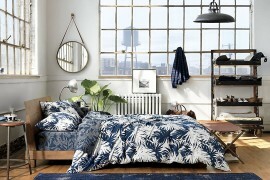 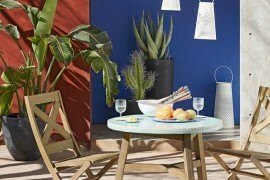 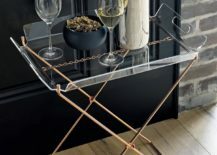 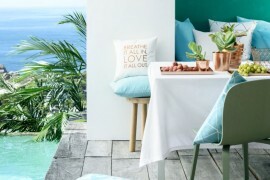 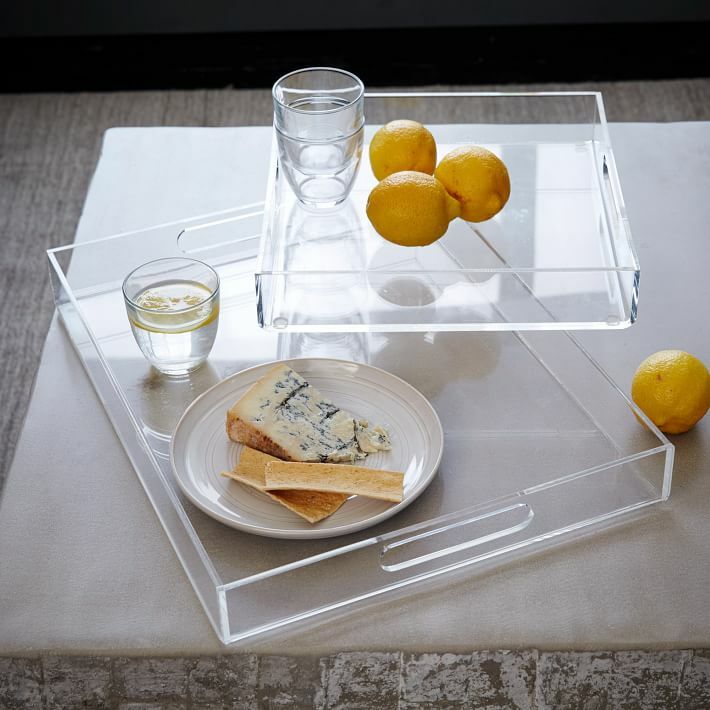 Or keep it simple with an acrylic tray from West Elm. 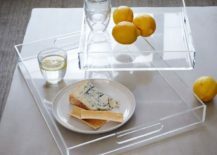 The ultimate in clean-lined style, this purely acrylic piece can easily be moved from location to location as needed. 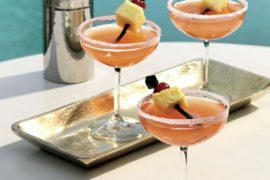 Happy hour, anyone? 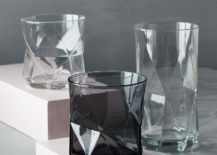 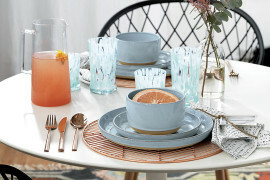 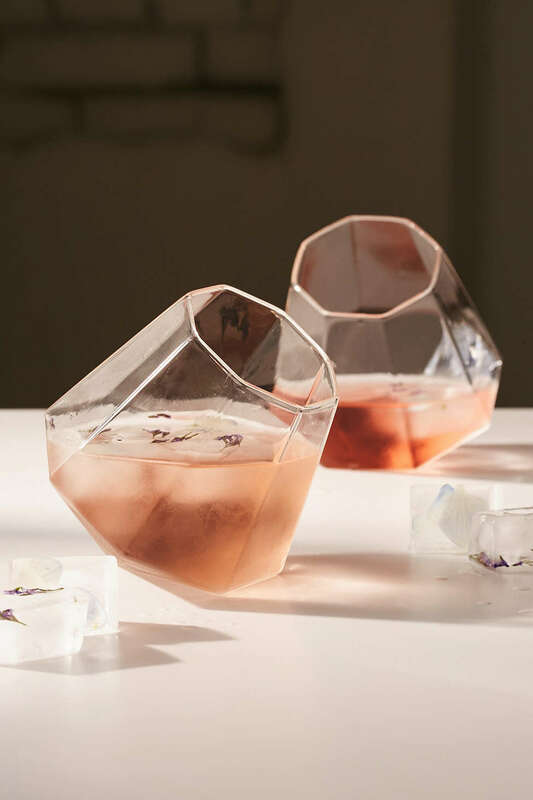 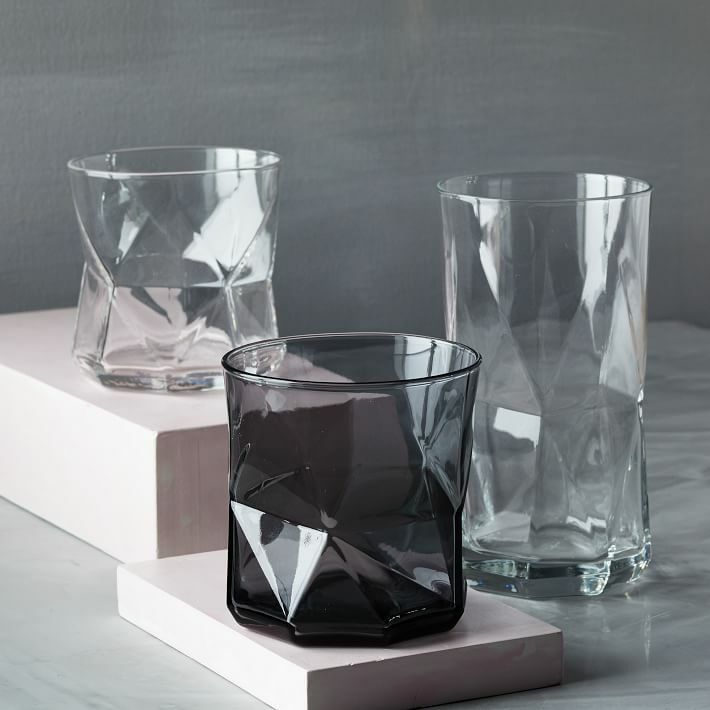 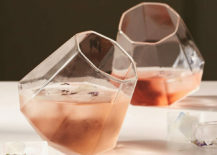 With gemstone appeal, this Drink a Diamond Glass Set from Urban Outfitters makes you lean in for a second look! 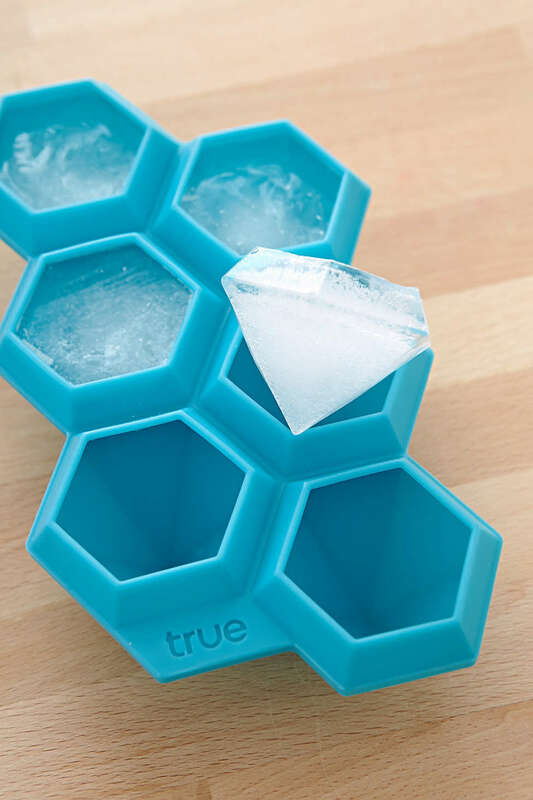 Since we’re on the topic of facets, we’ll begin our discussion of specialty ice by highlighting Urban Outfitters’ Diamond Ice Cube Tray. 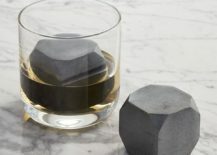 Waiter, there’s a giant jewel in my drink! 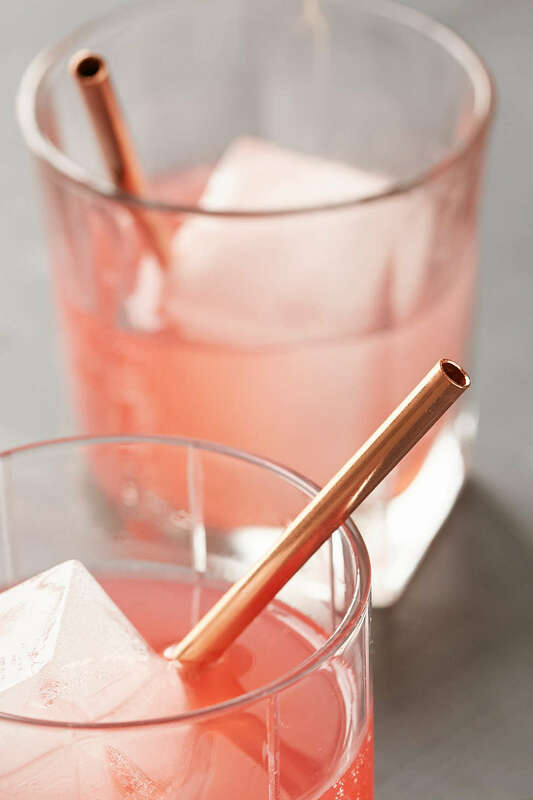 Have you guessed our next (and final) cocktail trend? 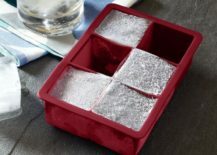 Yes, specialty cubes are all the rage. 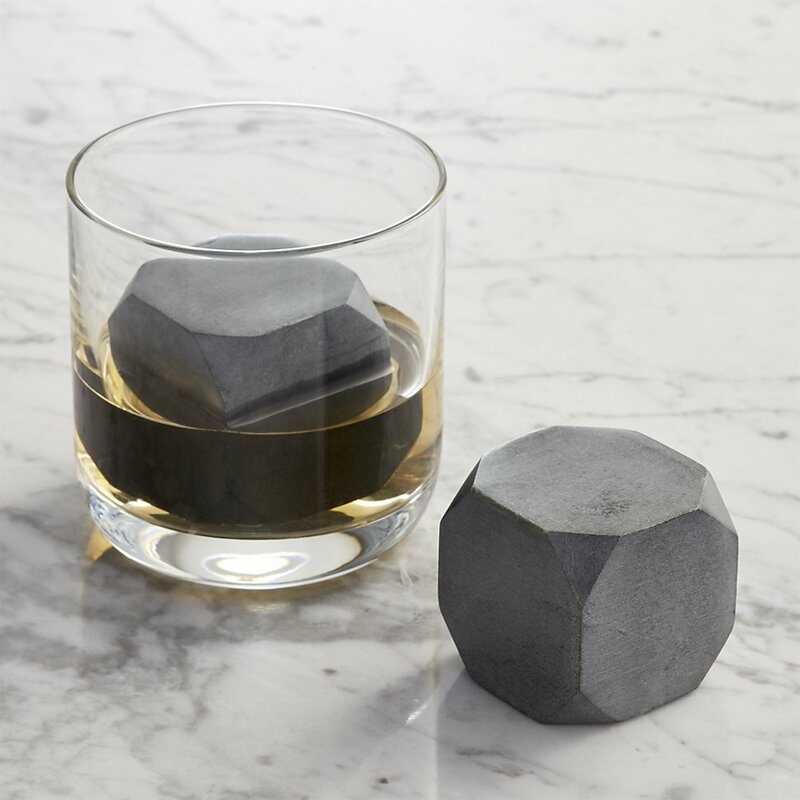 And as we’ve seen, not all of them are cubes! 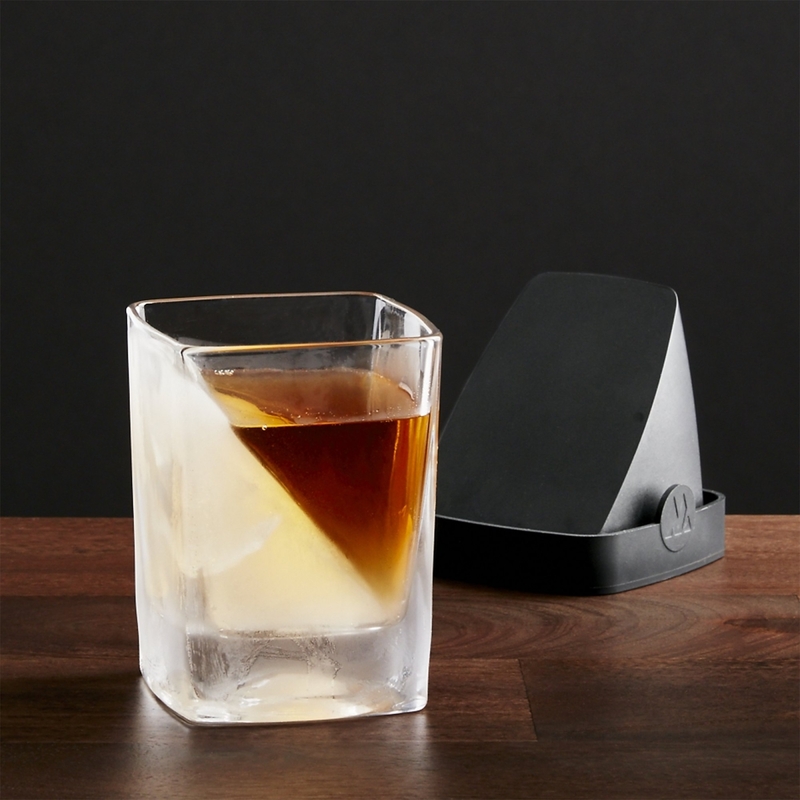 One big chunk of ice reigns, replacing a glass full of frozen chunks. 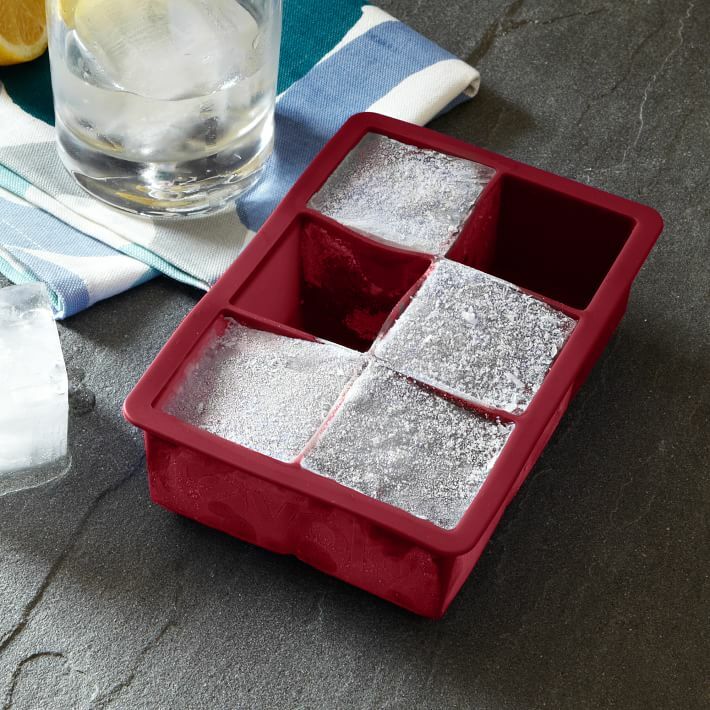 After all, a larger cube won’t melt as quickly. 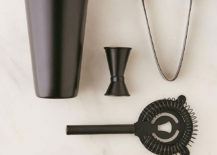 Plus, it just looks sleek! 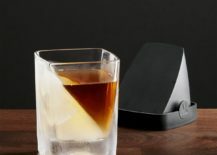 Who can argue with Crate & Barrel’s Whiskey Wedge? 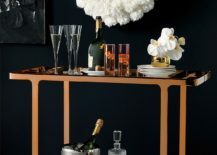 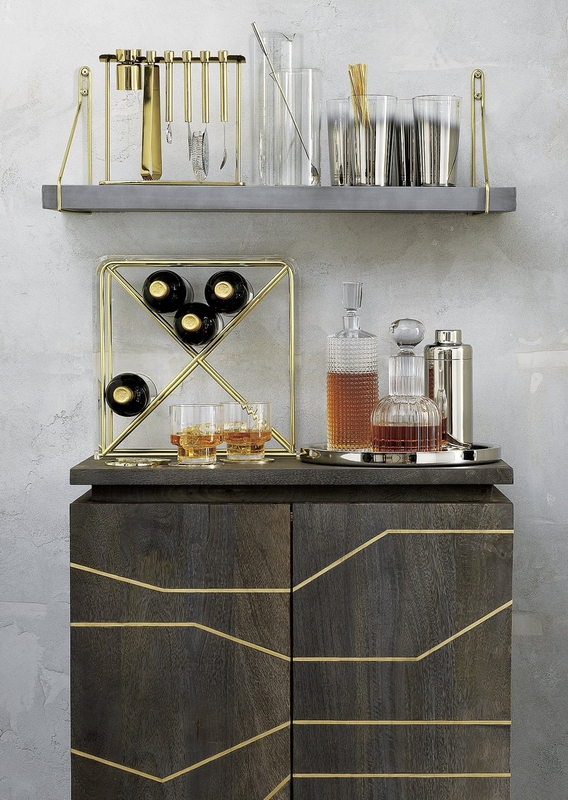 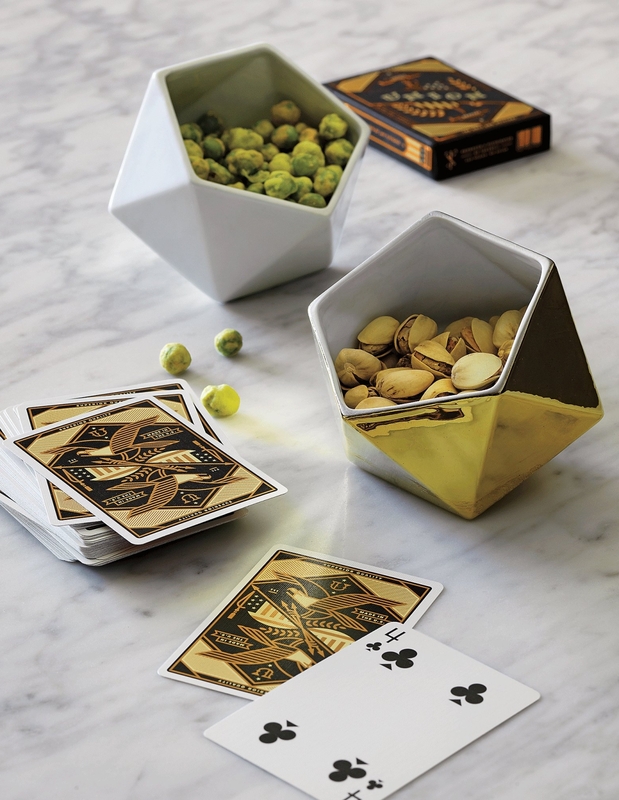 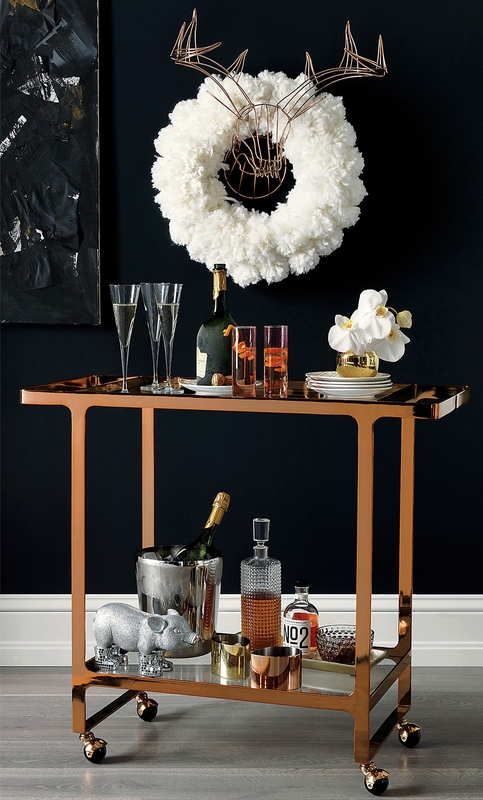 Cheers to new design trends that take cocktail hour to the next level!